WE STRIVE FOR A TRULY EXCEPTIONAL SERVICE EXPERIENCE! 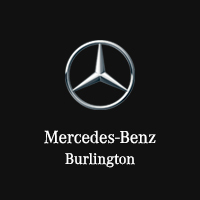 We are pleased that you have chosen Mercedes Benz Burlington for your service needs. We hope that you have enjoyed your time with us and are enjoying your vehicle with a peace of mind. You may receive a survey from Mercedes-Benz Canada regarding your service experience. We would genuinely appreciate if you could take a few moments to complete it. The entire team here at Mercedes-Benz Burlington strives for nothing short of a truly exceptional service experience. If we were not able to deliver the experience you expected, please let us know so that we can make it right! Again, we would like to thank you for choosing Mercedes-Benz Burlington. If you have any questions regarding your survey or about your service experience, feel free to contact us.